1. Was Nara affected by the March 11 earthquake and tsunami? No. Nara is located far from the epicenter of the earthquake. The map of the damage from the earthquake can be found at http://www.nytimes.com/packages/flash/newsgraphics/2011/0311-japan-earthquake-map/. 2. 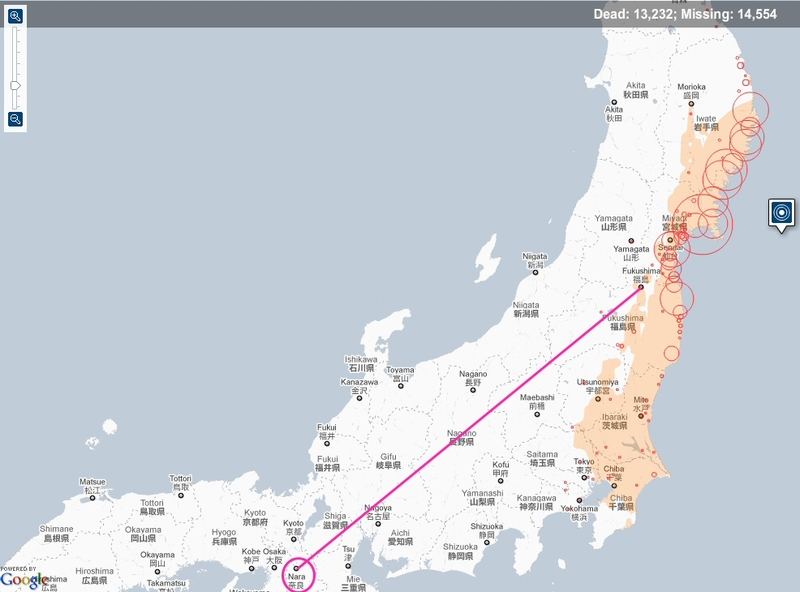 How far Nara is located from the Fukushima Daiichi Nuclear Power Plant? 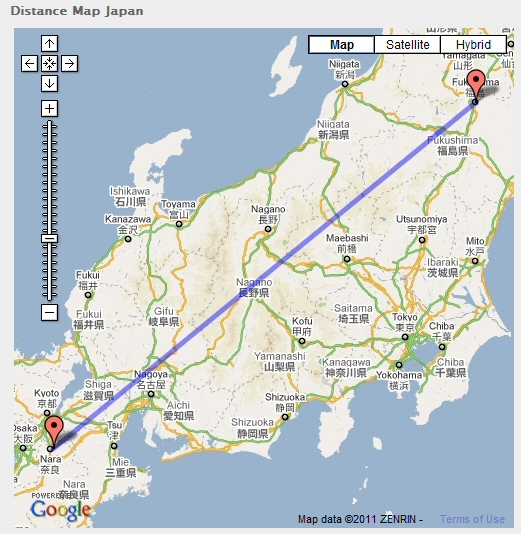 Nara is located approximately 538 km (~334 miles) far from the Fukushima Daiichi Nuclear Power Plant. 3. When is the crisis of the Fukushima Daiichi Nuclear Power Plant resolved? 4. Is it safe to travel to Japan? 5. Is there any information source on radiation level in Japan? 6. Are there any concerns on the food contamination in Japan? radioactivity level of agricultural and fishery products. Last updated: Jul 08, 2011.